Cutting costs after a divorce is a reality that many have to face. Entertainment spending differs between single men and women. Decree modification and refinancing on a home and car are among the options to consider. When you are going through the divorce process, you can sometimes see the writing on the wall, regarding how much this is going to hurt emotionally and financially. Your marital lifestyle afforded you many financial advantages, allowing you the opportunity to go out to dinner more often or have that extra streaming service that you wanted, but with a divorce comes cutbacks and the reality of financial loss. After the decree is finalized and the amount being paid in alimony or child support is a financial reality from month to month, you will have a better sense of what your financial constraints are, which can help you identify where you can make some cuts in your spending. Financial cuts to your spending are a reality after a divorce. You may believe yourself to be in a stable enough position that you can avoid it, and for some, that very well may be the case. However, research from financial advisors at The Balance estimate that divorced spouses would need more than a 30-percent increase in their income to maintain the same standard of living they had, on average, prior to their divorce. It also depends on who contributed what to the marriage. Men who provided less than 80 percent of the family’s income before divorce suffer more financially, according to research from Utah State University. Men who provided more than 80 percent of a family’s income before a divorce do not suffer as much financial loss and have a better opportunity to improve their financial circumstances. You may find yourself in the latter, and that is a fortuitous place to be in. However, the more likely scenario features you looking at aspects of your life where you may be forced to make cutbacks. One of the largest areas of spending comes from entertainment. Whether it is going out for drinks or taking someone out on a date, you may be forced to spend money, and if you are a guy, you are spending more than your female counterparts. The United States Bureau of Labor Statistics confirmed that single men spend $507 on alcohol every year, compared to the $216 that single women spend. Men also spend more money when women are not present or if there are fewer women around, according to studies at the University of Minnesota. This number can rise if you live in a city more populated with single men and women, where credit card debt and credit card ownership numbers are higher. You also may look to spending money, in an effort to improve your mood, and after a divorce, that mood is constantly in need of improvement. According to a national survey conducted by TNS Global and eBates, food, electronics, music, and movies, are some of the most popular purchases made by men, looking to indulge in retail therapy. Cutting down on the entertainment spending and retail therapy is essential in improving your financial situation after a divorce. You cannot put out more money than you are taking in, if you are attempting to recover from the financial losses of the process. You also need to be vigilant, in regards to your case. If you feel that your alimony or child support needs to be modified, you need to contact your family law attorney. Your family law attorney will be able to help you navigate the ins and outs of modification, in order to help you with your current legal and financial situation. 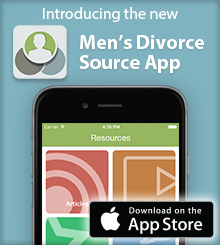 They understand what you are going through and are able to assist in the unique challenges that men and fathers face going before, during, and after a divorce. Additional aspects that need to be considered when cutting back after a divorce are where you live and what you drive. You may be forced to refinance on your house, if you chose to stay in the marital home. If you live in a house, apartment, or condo with a high rent, you may need to move elsewhere, in order to stabilize your finances. You also may be forced to refinance your car, or if it is too new and the payments are too much, you may be forced to sell it and replace it with a car with more manageable payments. These may be drastic moves in an effort to cut costs after your divorce, but it is important for you to consider your financial future. You may have children, and their futures will need to be factored into the equation. It is a constant battle full of setbacks and small victories, but regaining financial stability after a divorce is possible, as long as you stay focused at the task at hand and commit to the cuts that you need to make.